Apple’s newest announced products, the iPhone 5s and the iPhone 5c, once again give us good insight into the successful company’s business strategies. Any business looking for growth can learn some valuable lessons from Apple’s strategic moves over the years. What do these phone launches have to teach us about smart product management? If you look closely, Apple’s core strategy has one key difference compared to its competitors. Microsoft, Samsung, and BlackBerry are all actively focused on market share, working to make their products available to more markets, especially those looking for budget phones. Apple, however, sticks to what has been its main selling point for some time: The iPhone is a luxury phone. Even the release of the cheaper iPhone 5c doesn’t change this. While the phone is less expensive than other new iPhone models, it’s still a $99 phone and therefore inaccessible to a lot of markets. iPhone 5s is not cheap at all with a price tag starting at $199. However you can always visit coupon sites like this one to get discount directly from carriers and electronic retailers. If Apple released a true bargain phone, it would certainly sell, and it would be profitable, but it wouldn’t match the Apple brand, and the company couldn’t make the same gross income without shifting more boxes than it already is. Apple’s core strategy sets them apart from the competition, and their faithful followers appreciate their devotion to it. 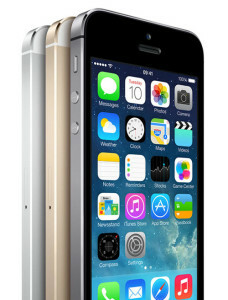 Looking at the iPhone 5s, there’s more to the phone than just a new look and a new name. It’s not even about a mild tweak to the specs, although it does have a bit more processing power than its predecessor. What sets the iPhone 5s apart is its breakthrough use of fingerprint scanning as a security feature on the smartphone. The concept of Apple’s Touch ID is a game changer, and the company knows better than to launch a new device without one. If all you’re doing is making a few minor tweaks to your previous product and releasing it as a new one, customers will pick up on that. Apple’s constant reveal of groundbreaking technology in its new devices means that every product it releases changes the game. It’s a smart move, and one that other businesses would do well to emulate. Everyone has their own opinion about what Apple should do with their next product, and invariably, Apple ignores the popular opinion and releases a device that goes in a completely different direction. While this might seem like a bizarre plan, it shows off the company’s integrity and dedication to product quality. For example, the iPhone 5 provided very little that Apple fans had been clamoring for on Internet blogs and articles, but what it did offer was new, quality, and satisfactory. 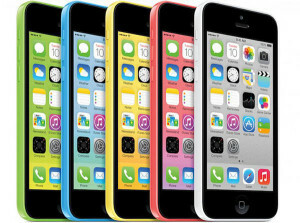 Rather than hurting the phone’s sales, this reluctance to cater the crowd led to the iPhone 5 being the fastest-selling iPhone of all time. On the flip side, the product is all about the customer – and we mean the user, not the networks. While Apple may not include every little feature their fans request, their updates have always been about customer experience, rather than compromises that get their phones into more networks. Apple designs their products with the user in mind, and it shows. That’s how you win and keep customers. John Parker loves to blog about mobile phones and money saving tips. He used promo codes to save $100 off a new iPhone 5s.